Anyone still using an older-style wood burner in Christchurch is being urged to contact Environment Canterbury before winter hits. Environment Canterbury air quality director Katherine Trought says older-style wood burners are now banned from being used in the Christchurch Clean Air Zone, regardless of their age. 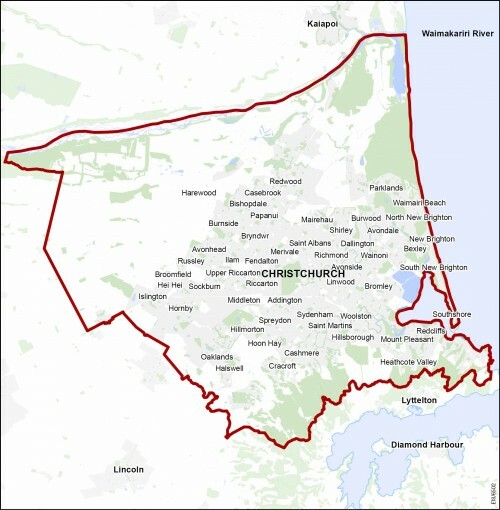 The Christchurch Clean Air Zone covers most of the urban area. “Older-style burners can be replaced with an ultra-low emission burner or another form of heating such as a heat pump. Low emission burners are no longer an option if you currently have an older-style burner,” says Ms Trought. You can contact Environment Canterbury on 0800 329 276 for help. Low emission wood burners can be used until their 20th birthday or until 1st January 2019 (whichever is later). They can be replaced with another low emission wood burner, but only if the building consent is issued by Christchurch City Council before 1st January 2019. Ms Trought says temporary waivers are being offered to some Christchurch homeowners or tenants who do not have a compliant heat source due to exceptional circumstances, like poor health or financial hardship. “A temporary waiver enables use of the existing wood burner for a limited time provided certain conditions are met, such as agreeing to burn smoke-free," Ms Trought says. Other support available in Christchurch includes subsidies for low-income tenants or homeowners, which will start up again in July 2018. Homeowners may also be able to add the cost of a new home heating appliance, insulation or ventilation to their rates bill later this year if Environment Canterbury’s proposed Healthier Homes Canterbury initiative is adopted. Register your interest online on being part of the proposed Health Homes Canterbury initiative. “Air quality in Christchurch is improving, thanks to thousands of people who have switched to cleaner forms of home heating. Our communities have welcomed the decline in high pollution nights in the past decade, and look forward to more progress in future years," Ms Trought says.